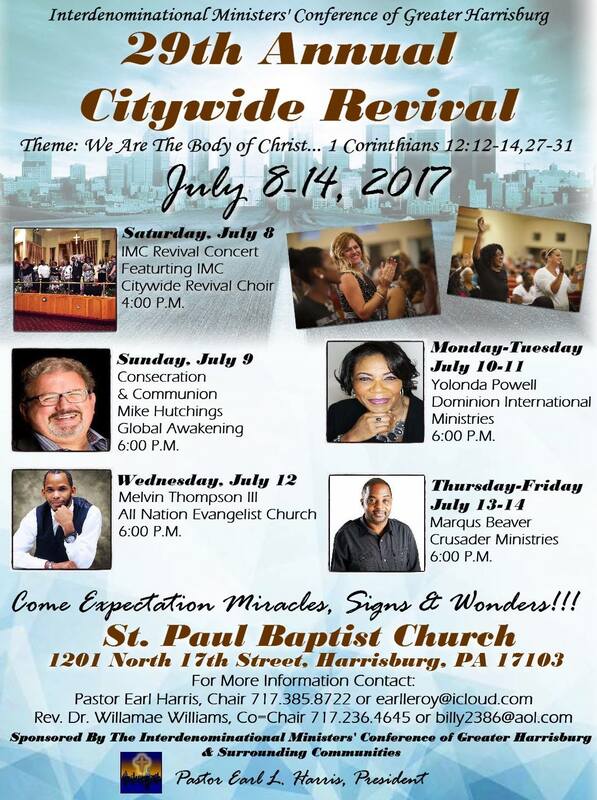 Dr. Mike Hutchings represented Global Awakening as one of the keynote speakers at the Harrisburg Interdenominational Ministers’ 29th Annual Citywide Revival Meetings July 8- 14, at St. Paul Baptist Church in Harrisburg, where Global School alumnus, Earl Harris is the pastor. There was evidence of Holy Spirit moving in power in salvations, healing, deliverance, and lives dedicated to walking in holiness and revival. The fruit of these meetings has been a desire among pastoral leaders to continue meeting together to pray and seek Jesus for the transformation of the region of Harrisburg.